Spring is finally here! Shiner couldn't be more pleased. There's green grass to munch on, mud to roll in, and dirt to dig up. You can experience Shiner's dirt digging in the GIF I made below. It is nice to see green grass somewhere. We have a bit of return to winter but it is supposed to warm up later today. Go Shiner go! Have fun pretty girl! It seems like she's having a lot of fun! I'm planning on adopting my first dog this summer, and I'm already so excited about it! You are welcome to join any time Easy! Making GIFs is so much fun! Love that one too! Luna would have loved to join Shiner digging! Shiner looks really happy that spring has arrived! We are still working on thawing out up here. At least we are expecting rain today and not snow. That's a welcome change. Yay! We love Spring. Looks like Shiner is having a blast! Spring has sprung and then has hidden...it has been warmer than it has been this Winter...but still not what I'm looking for. I'm looking for that 70's weather. We should get much more of that next week! Enjoy! Spring has sprung, but mostly just the rainy part. Can't wait for those flowers! You are a beautiful spring chicken Shiner! Love that sweet face! 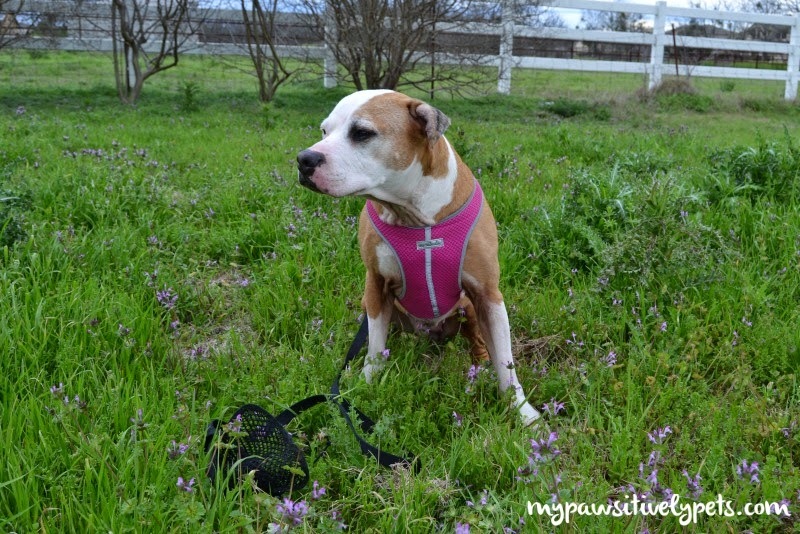 We love watching Shiner dig ... go, sweet girl, go! Aww, good girl Shiner! I'm glad she gets to be out enjoying some nice weather. I love the warm weather. I do not have snow here. I am stopping by from the blog hop, hope you will come say hello.